I love cheesy and easy crock pot recipes. 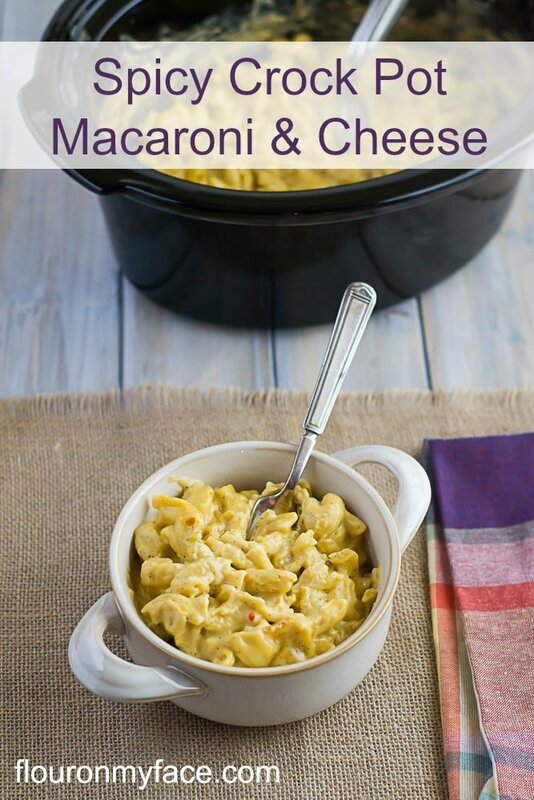 This Crock Pot Spicy Macaroni and Cheese recipe is perfect for anyone who loves a little kick in their macaroni and cheese. After falling in love with my other Crock Pot Macaroni and Cheese recipe I decided to see if I could make a Spicy Crock Pot Macaroni and Cheese that was just as good. Oh yes! 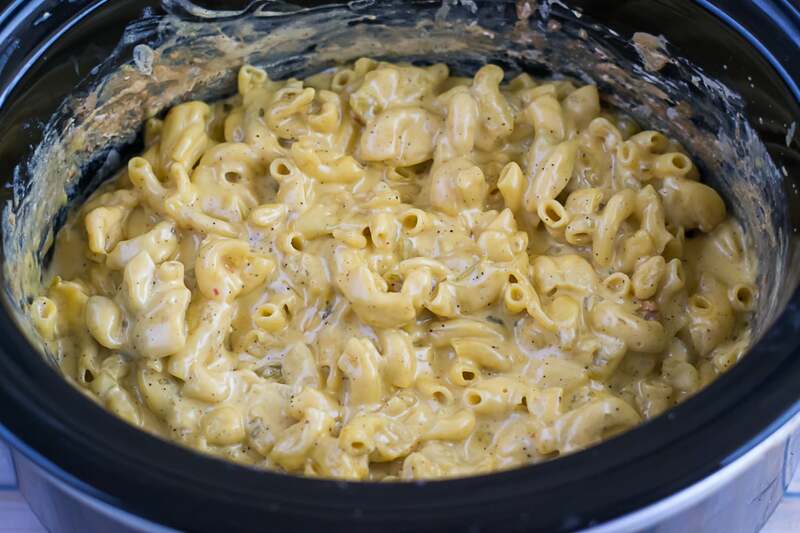 Crock Pot Spicy Macaroni and Cheese is just as good if not better than plain cheesy Crock Pot Macaroni and Cheese. So do you call Macaroni and Cheese…… Mac and Cheese? I’m just wondering. I see Mac and Cheese used all over the place but I always use the long form Macaroni and Cheese. 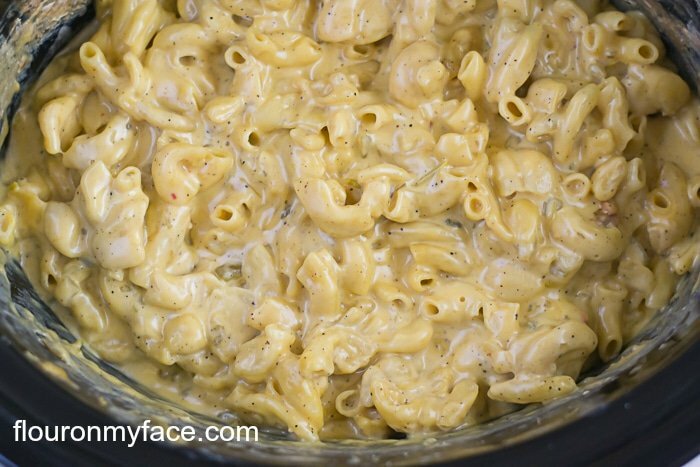 I don’t think the shorter Mac and Cheese version does this cheesy and Crock Pot Spicy Macaroni and Cheese recipe justice. Mac and Cheese sounds like something that came out of a cardboard box. Place all the ingredients into a 6-quart crock pot and mix well. Place a double layer of paper towels over the crock pot then cover with the lid. Cook on low for 2-3 hours or until the macaroni is cooked through. Turn the crock pot to the warm setting and serve as needed. I love cheesy and easy crock pot recipes. 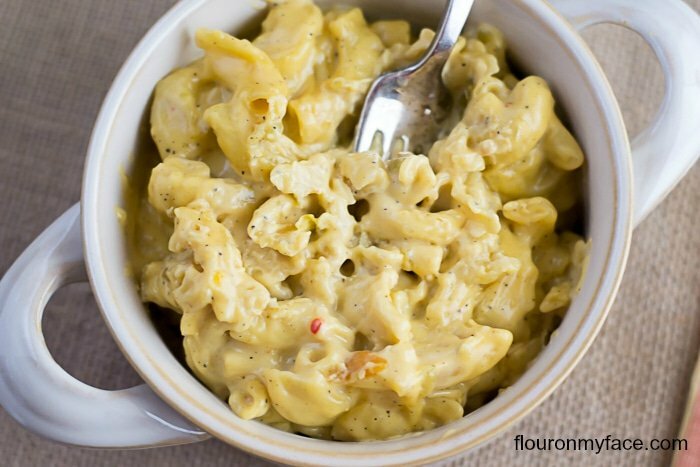 This Crock Pot Spicy Macaroni and Cheese recipe is perfect for anyone who loves a little kick in their mac and cheese. Your recipe looks great. I’ve never tried making mac and cheese in the crock pot. Thank you for joining Delicious Dishes Recipe Party this week. We hope to see you again next week! So if you double the recipe then how long do you cook it?